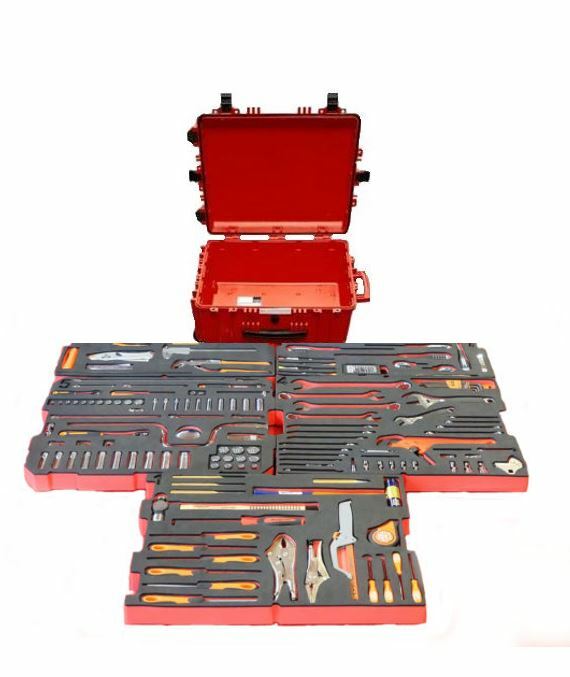 Tool case trolley made out of synthetic resin, black, watertight, impact- resistant, with pressure equalizing valve, Inlays in two colours, red/ anthracite, Skydrol resistant. The two different colours of the inlay indicate lost tools on the spot and makes the tool control much faster and easier and safer. 64 808050S STUBBY RATCHETING SCREWDR. 182 SQZ150003-SBL SPARE BLADE BOX WITH 12 PCS.